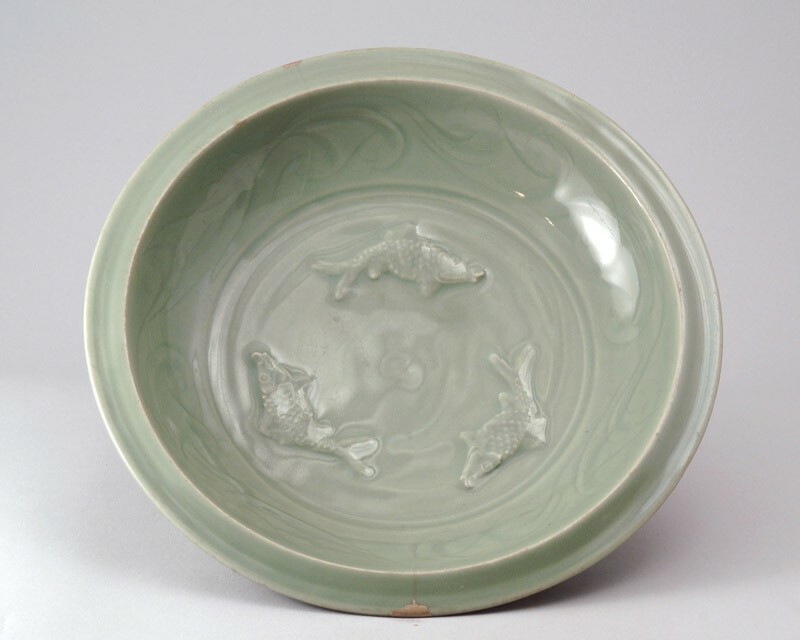 The dish is finely shaped, with rounded sides, recessed base and everted, slightly sloping rim. The centre is applied with three carp, well modelled with eyes, lips, gills, scales, fins and tail clearly rendered. The sides of the dish are incised with a quickly sketched undulating scroll, the outside is carved with lotus petals in relief. The glaze is of greyish blue-green tone, the footring shows a brick-red biscuit, the rim has gilded repairs.